If you've been anywhere near the Internet, you already know everybody is talking about the new Dancing With The Stars cast. On Tuesday morning, the lineup for the show's 10th anniversary season was officially announced, including Willow Shields, Suzanne Somers, and Patti LaBelle, but the biggest surprise wasn't about the celebrities, it was about the dancers. 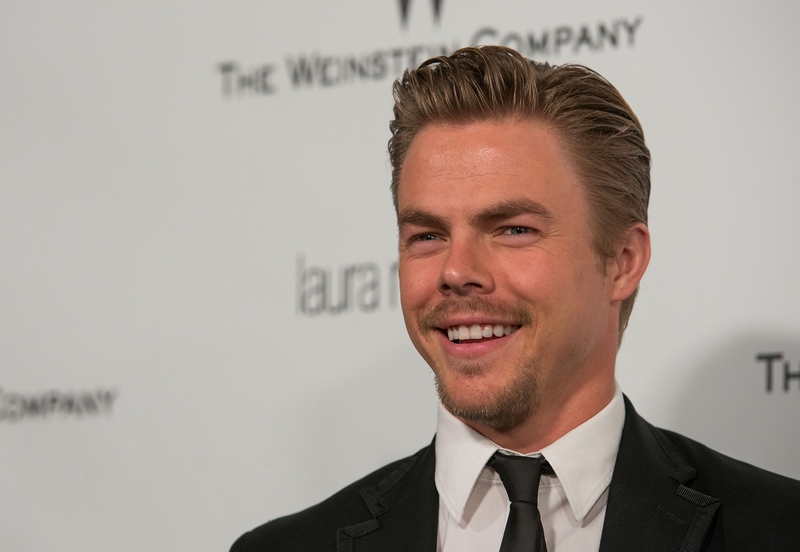 Although he previously decided not to take part in this season, Derek Hough will be returning for DWTS Season 20, despite his run with The New York Spring Spectacular. So what's the deal? What caused this change of heart? Being part of New York Spring Spectacular has been an incredible experience. However, as we got closer and closer to today, the thought of missing out on the 10th Anniversary of Dancing with the Stars was weighing on me. I would like to thank MSG Entertainment and The Weinstein Company, producers of New York Spring Spectacular, for moving mountains and making it possible for me to do both productions. It will be a demanding schedule to appear at both Radio City Music Hall and on DWTS and flying back and forth between New York and LA each week will be a challenge that I’m really looking forward to. And as USA Today notes, Hough was paired with Olympic gymnast Nastia Liukin — possibly because their current living situations are perfect for them to train together. While Hough is in New York working on the spectacular, Liukin is a sophomore at NYU. Is that convenient or what? Plus, they look super cute together, so I'm predicting they'll make a pretty good pair on the dance floor. If Hough looks a little tired this season, cut him some slack. It's not easy living a bi-coastal lifestyle, even if it's for a reason you're really passionate about. The season doesn't premiere until March 16, so Hough should probably use the time between then and now to catch up on his sleep. He's going to need it!